Crescent scored trys on either side of the interval in a complete performance this afternoon, the first coming through fullback Daniel Hurley, who went over early on after a powerful break from Bailey Faloon. 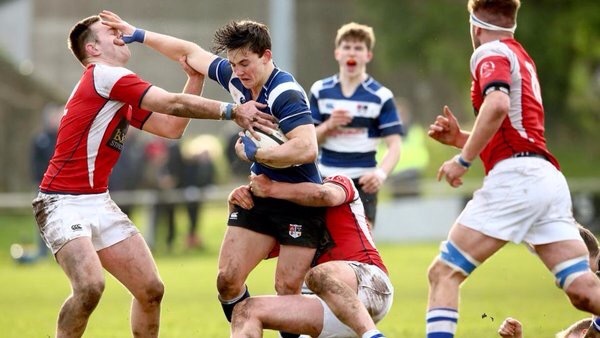 As the half came to its closing stages, Rockwell lost last year’s Munster Haka Schools Player of the Season, Mikey Wilson to injury. However, they were still well in the contest. Shortly after the break however, Niall Mulcahy scored in the corner following some tight carries and hammering at the line from Comp, leaving Rockwell under their sticks once again. This was becoming a familiar feeling as Daniel Hurley kept Comp’s scoreboard ticking over in the meantime. The Tipperary school did cross the line themselves later on though, Ben Murray claiming the score after an effective maul which was typical of Rockwell’s play on the day. Unfortunately, from their view, they failed to add to such a score.